the modernity (5 years old) was very nice. The shower was excellent. The range of breakfast choices was very good. Breakfast ok, but no restaurant or bistro. 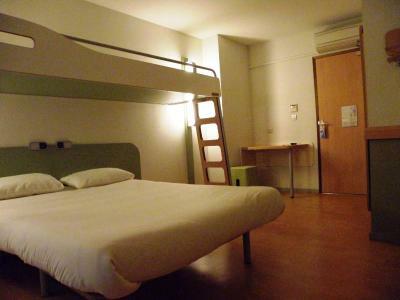 Room clean, parking available- for 1 night ok.
Staff in Ibis Hotel (not at Ibis budget) Were very friendly, chatting and welcoming. Room good for a rest for the night on route, but wouldn't want to stay any longer. 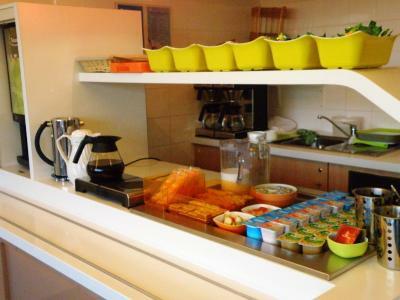 Though we didn't use, the breakfast facilities looked good, with someone serving customers. Very good shower, shampoo/soap provided Lovely view in the morning, with the sun coming through the trees. 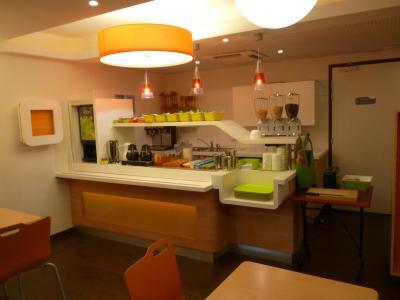 Clean, tidy efficient, excellent staff. Restaurant very good food at local prices. sandwiched between the motorway, the hospital and the crematorium! 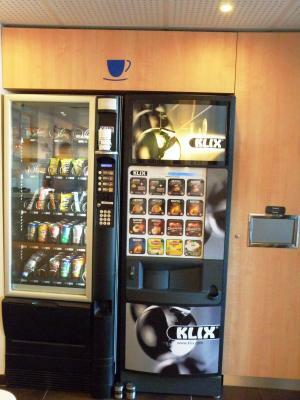 Good value for money easy location, having used Formula 1 in the past the ones we have used are now old and not up to the standard of the past, most are past their sell by date. 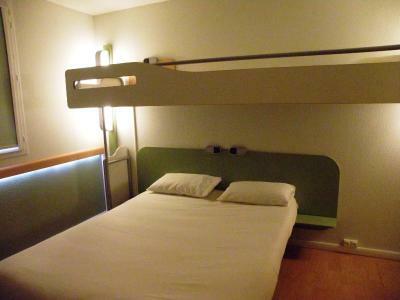 Although owned by the same group this Ibis Budget was very good, would recommend. 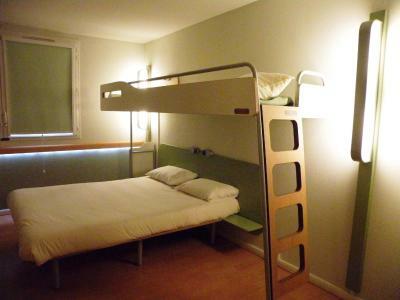 ibis budget Montauban Les Chaumes is 2.5 mi from the center of Montauban and 900 feet from the A20 motorway. 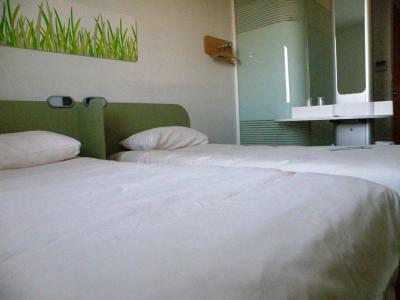 It offers free Wi-Fi access and soundproofed rooms with a flat-screen TV and satellite channels. 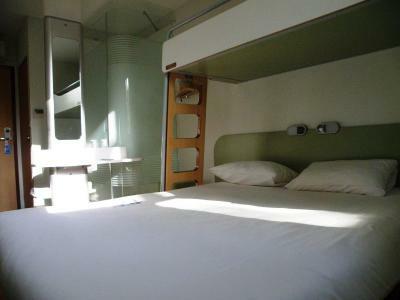 All rooms feature a desk, air conditioning and a wardrobe. 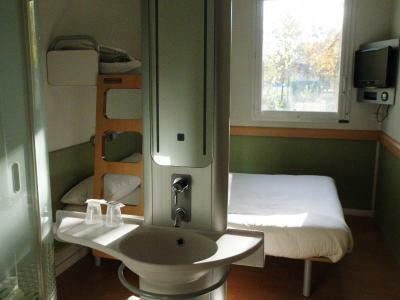 The private bathroom includes a shower and free toiletries. 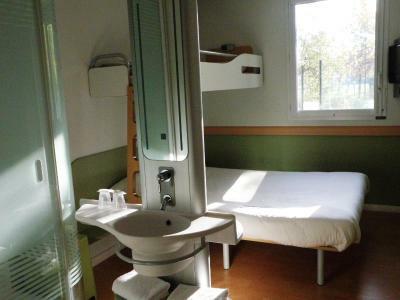 Some rooms are suitable for guests with reduced mobility. 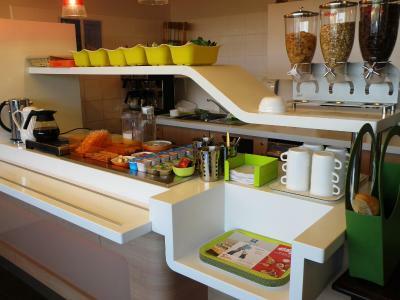 A buffet breakfast can be enjoyed every morning at ibis budget Montauban Les Chaumes. There is a restaurant on site and a grocery store can be found 150 feet away. This property is 1.2 mi from Montauban Train Station and 6.2 mi from Aiguillons Golf Course. Free private parking is available on site. 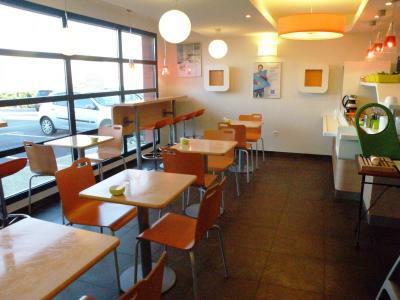 When would you like to stay at ibis budget Montauban Les Chaumes? 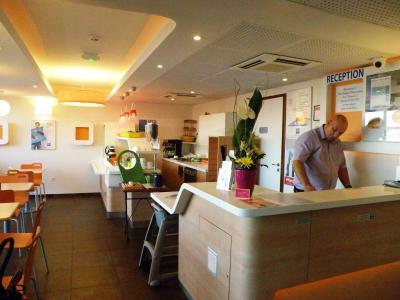 on the road halfway between Paris and Barcelona , the hotel is of easy access , exit 62 " stubble " .A reception 24/24 h is possible at the reception of our Ibis Semi . The secure car park is closed , and a large capacity. No need to turn to find a place !!! 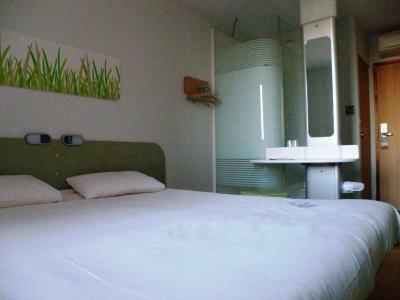 All our rooms have Canal + and air conditioning, an elaborate lighting ambiance for your comfort. 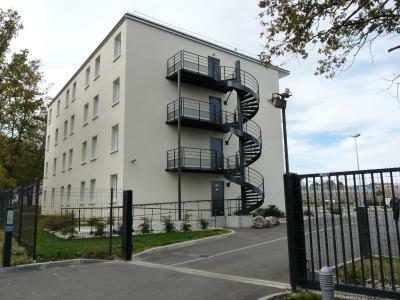 House Rules ibis budget Montauban Les Chaumes takes special requests – add in the next step! 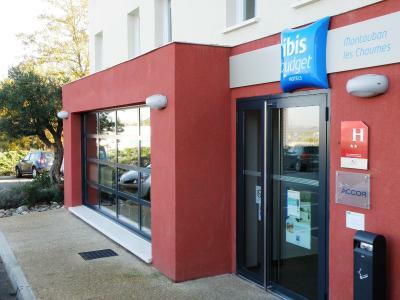 ibis budget Montauban Les Chaumes accepts these cards and reserves the right to temporarily hold an amount prior to arrival. Dinner in the adjoining Ibis. Just a buffet. 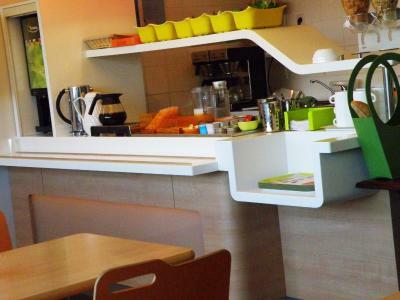 Restaurant in the better Ibis was closed, warm snacks only – but truly horrible. We had our 6yr old daughter with us, and her bunk bed had not been made, the covers were in a plastic bag, bit frustrating after a long journey and a tired child. 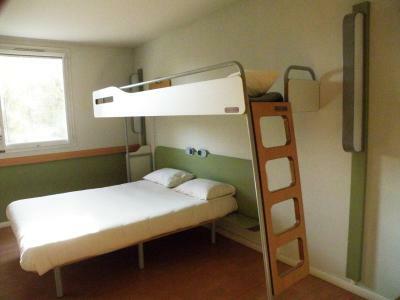 Only one chair in the room for three guests, bed too far away to use as a chair. Just needed a little more space if you wanted to eat in your room. Had a disable toilet with out a proper shower. Nothing really, the hot water was very hot. Perhaps a note to warn parents with young children. All good, as we expected. The automatic check in could have been easier to understand. No complaints. 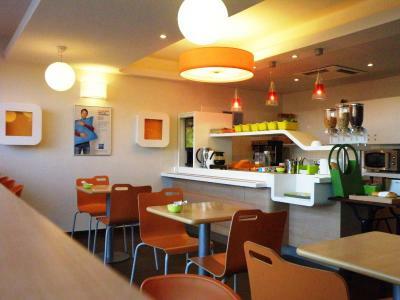 It is basically an annexe to a top RED Ibis with pool, bar and restaurant. When we saw that we wanted to switch but is was fully booked. 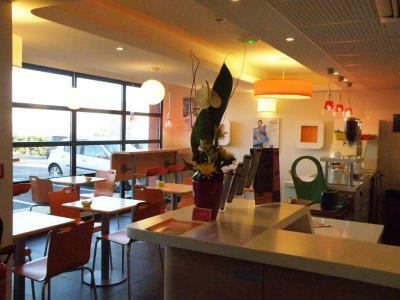 We had access to the hotel's facilities which meant a good dinner looked after by a very chirpy, pleasant waiter. 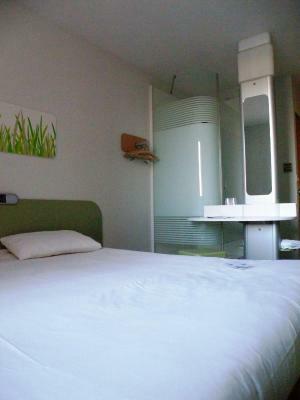 Our room in the budget annexe was fine after we had used the automatic check in --- with a little help.